HE scored Super League’s try of the round last week but ended up on the wrong side of the result, something Hull KR captain Joel Tomkins wants to rectify tonight. The former dual-code England star produced a brilliant solo 40m effort, eventually dummying past brother Sam, in Sunday’s game against Catalans Dragons. However, as the Robins let a 12-2 advantage slip, Sam had the last word as he slotted a late match-winning conversion to condemn the hosts to an 18-16 defeat and third loss in four games. The East Yorkshire club look to get back to winning ways at Huddersfield Giants this evening and Tomkins, who turned 32 yesterday, said: “That try was me rolling back the years a bit. “I’ve not done that for a while. I just got in some space and I think Sam thought I was going to pass on the inside so I sold him the dummy and got one up on him. “But it was disappointing to lose like we did. I was hoping he wouldn’t get that goal but knew he would. We still had four minutes left but we were out on our feet at that point; we had no front-rowers at all. We shot ourselves in the foot against Catalans. It’s like a broken record; giving too many errors and penalties. “I think we finished with Danny Addy, Adam Rooks, Chris Atkin and George Lawler playing as our four middles; none are props and there’s probably not one of them over 90 kilos. Rovers are again missing plenty of key personnel but their bottom-placed hosts are in a similar position regards injuries. 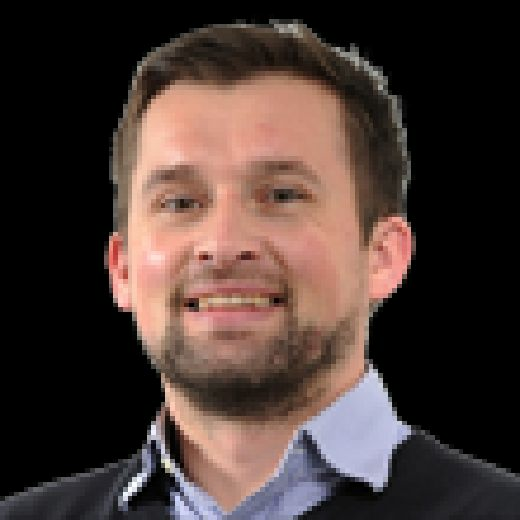 Huddersfield – with just one win – impressed in the first half against St Helens last week before eventually falling away. He added: “They won at Wigan the week before as well. Hopefully, we can bring our game-plan to them, get in that arm wrestle and play a bit differently to hopefully get the win. “We shot ourselves in the foot against Catalans. It’s like a broken record; giving too many errors and penalties. 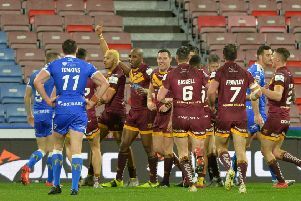 Before his quality try against Catalans, Tomkins had also claimed another only for referee James Child to wave away his appeals, saying the former Wigan star had spilled over the line. 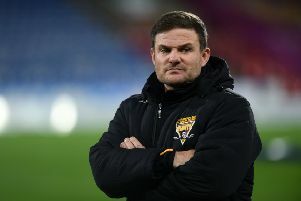 He was playing his first game since returning from a two-match ban for questioning the integrity of a match official after an outburst when seeing an effort disallowed in the narrow loss against Salford Red Devils. Did Tomkins have to bite his tongue this time? “I can’t be having words with the referees any more or I’ll be getting a reputation.